A destination wedding is a wedding held in a stunning location distant from the couple´s home, whereby the bride and groom typically invite their closest friends and family, although large lavish weddings and weddings elopements that consist of just 2 people that decide to tie the knot spontaneously are also common. Locations can be very distinct and include places such as Hawaii, the Caribbean and of course, Mexico. Destination weddings have grown phenomenally in popularity in recent years, and provide the couple with an opportunity to celebrate their wedding in a distinct setting to how their wedding would traditionally be celebrated in their hometown. Here in Mexico, this type of weddings on the pristine beaches of Playa del Carmen or Tulum are extremely common for those with a sense of adventure and seeking a different and more relaxed wedding experience. There are multiple reasons as to why a couple would have a destination wedding. In the first instance, it certainly will prove fruitful to investigate a wedding venue that will suit you both, and of course, that is within your wedding budget. The bride and/or groom´s family and friends are widely dispersed geographically, and you need to find a convenient location that everyone can travel with ease. You have a limited wedding budget; destination weddings can be much cheaper than a traditional wedding in your home town in the US, Canada or Europe. You live in the city and you would like a beach wedding in the Caribbean in a more relaxed environment, where your guests can enjoy the wedding as an extended holiday in the warmth and sun of the Riviera Maya. You would like to contract a destination wedding package that includes all the necessary details and takes the burden off you both and your wedding planning. Some details and/or vendors can be amended to accommodate your budget and wedding style. You would like a wedding reception in the open airwith the sound of the sea and a light breeze, rather than a wedding reception in an enclosed room. That said, weddings in Playa del Carmen and Tulum can consist of a combination of both… a wedding ceremony on the beach followed by a wedding reception in a swarve beachside hotel or salon. You fell in love with a beautiful beach location whilst on holiday in Playa del Carmen or Tulum or proposed to your fiancé there whilst on holiday and decided it is where you would like to have your wedding. If the any or all of the above appeal to you, then a destination wedding in the Riviera Maya may be the ideal option! 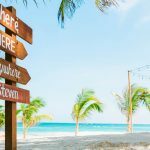 WHAT ARE THE BENEFITS OF HAVING A DESTINATION WEDDING IN THE RIVIERA MAYA? Cost! If exceeding your wedding budget is your concern, this could be the option for you. Many destination weddings can work out cheaper. Some hotels at beachside resorts in the Riviera Maya facilitate wedding packages that will accommodate your wedding without charge if “X” amount of guests stay at their hotel. This may include an on-site wedding planner. This may limit your options in terms of external vendors should you wish to use one (or incur an external vendor fee), but will could still work out cheaper than hosting a wedding in your home town. Of course, not everyone you invite will be able to attend your destination wedding, but in that comes another cost-saving factor! As your guest list reduces, so does the cost of your wedding. The time of year you have your destination wedding can also affect costs, with peak wedding season obviously being the more expensive option. Stress-Free! There is far less stress involved in destination weddings for the bride and groom. You are likely combining your wedding with a honeymoon and quality time with friends and family, because they will arrive at least one day prior to the wedding and everyone will be in “holiday-mode” and out to have a good time and forget their mundane work routine. This is a huge perk! As at a traditional wedding in your home town, the bride and groom is generally running around like a mad chicken to say hello to guests and family and friends, perhaps people you haven´t seen in years and you are no longer close to! Which means less time for you both to enjoy your wedding day. You´ll likely spend less on design, detail and decoration. Why? Because the venue becomes a stunning backdrop unto itself and doesn’t need so much attention to detail. Alternatively, money-saved on guests that are unable to attend your destination wedding can be re-allocated to spending more on lavish details if need be. Combining your wedding and honeymoon location gives you an excuse to return to the location for your anniversary, be it your first wedding anniversary or your 20th! You´ll have somewhere symbolic and stunning to return to and enjoy time and time again. Stunning wedding photos; at a wedding in your home town you can hire any wedding photographer, but with a destination wedding you can splash out on a wedding photographer that knows the area and really knows how to complement your beach wedding location; a magical sunset on a palm-tree ridden beach with white sands, and capture all the emotions on your special day. Some of the money you save by guests not attending can be re-allocated to your ideal wedding photographer. There are so many benefits of having a destination wedding on the beach in Playa del carmen or Tulum, those outlined above are just a few. You want your whole wedding planning process to be as stress free as possible, so you can spend quality time with your family and friends on your wedding day and have priceless memories. It is a special occasion that will pass so quickly, you need to maximise the time you spend with your family and friends. 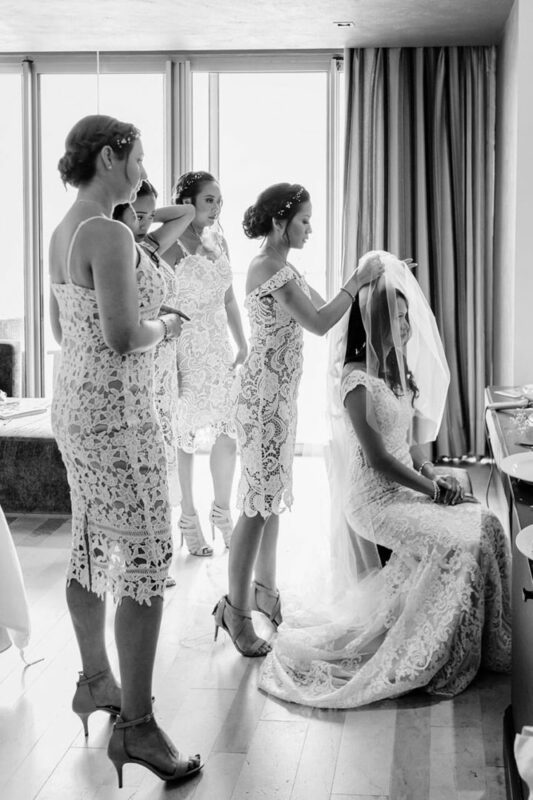 Whilst destination weddings can be booked within a couple of months, it is best to plan your destination wedding in advance with ample time, so the guests you truly want to attend can budget and book in advance. The type of wedding ceremony you have at your destination wedding in the Riviera Maya can vary and is down to your religious beliefs, personal preference and of course family, be it symbolic, religious or even a Mayan wedding ceremony. 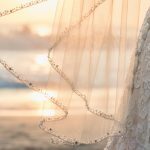 If you want to find out what the different types of destination wedding you can have in the Riviera Maya, you can read my post about getting married in Mexico or contact me to refer you to one of our preferred wedding planners. Finally, a short note on etiquette, if you have decided that a destination wedding is for you, here's a few notes about etiquette. The wedding guests will pay for their own flights and accommodation. The bride and groom fit the bill for the wedding ceremony, reception, food and beverages and additional expenses related to the wedding. Wedding gifts shouldn´t be expected, as guests have already likely spent a significant amount of money on travelling to your destination wedding to share the special occasion with you, that is something you can not put a price on. That said, there are guests who also feel they would like to purchase the newlyweds a gift as a gesture to their starting their new life together. But by no means, should it be expected. The dress code for your destination wedding is an open book. In the Riviera Maya, destination weddings can be a formal or laid-back event. 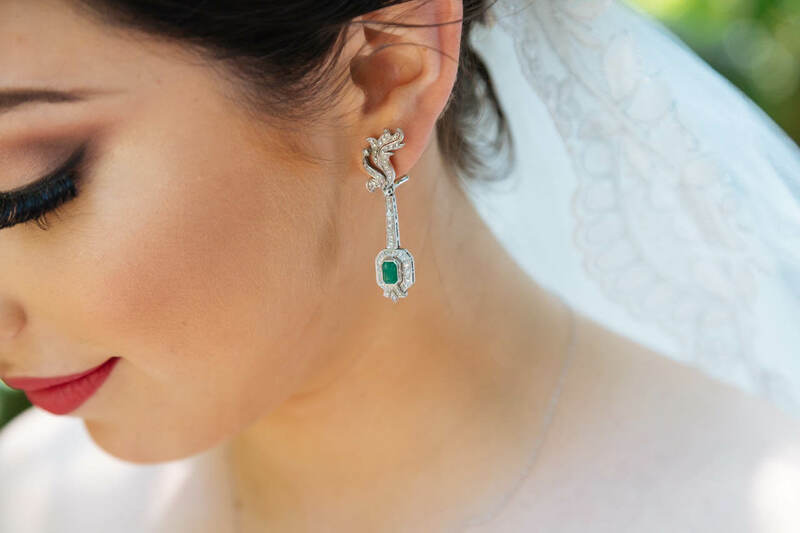 The bride and groom dictate the dress code, of course, the temperature is something one needs to take into consideration as you want your wedding guests to be comfortable. Dress code can be formal or cocktail dresses for ladies and suit and tie for gentlemen or even light more casual clothing, such as linen trousers and shirt, you can get some inspiration by watching my wedding photography portfolio. Of course, the same rules apply to any traditional wedding when back in your hometown, no lady should be dressed in white other than the bride.